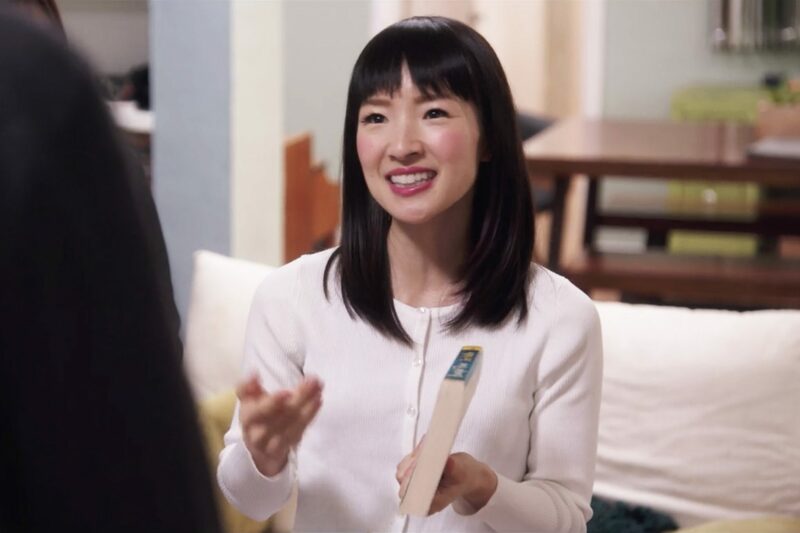 If you haven’t taken the time to watch at least a few episodes of Marie Kondo’s new Netflix series, “Tidying Up,” then I would highly recommend doing so. Kondo first introduced her method of keeping one’s home tidy and clean through a book she published. The book and her concepts surrounding tidying were then made into a Netflix series last month. In the show, Kondo visits various couples’ homes and guides them in organizing their homes, throwing away unnecessary items, and keeping the things that spark joy. When I started watching Kondo’s show, I too was inspired by Kondo’s methods. Her show was far more than going into people’s homes and steering them away from clutter and hoarding like other shows have done. Instead, she asks them to reflect on what their home means to them and contemplate how they want their homes both look and feel. Kondo didn’t push her clients to throw away anything they wanted to keep — instead, she encouraged them to be reminded of why a particular clothing item or keepsake was important or significant to them. In this way, Kondo’s clients were able to donate or get rid of items they were holding onto fro their past that they didn’t want to bring into their future and keep in their home. Although I thoroughly enjoyed Kondo’s show, there was one component which made me think — and that was the portion which involved throwing out old books. As was the process with everything else, Kondo encouraged her clients to get rid of any books that didn’t spark joy — similarly, the process of reducing your book collection on the show sparked some controversy on social media. “I’m a fan of the show and I do think you have to take it with a bit of a grain of salt,” said Anjana Kipfer, manager of marketing and communications at Waterloo Public Library. For me, every time I collect a book and add it to my slowly growing library, I experience joy. Although I may never read many of the books on my shelves in the near future, I still enjoy collecting old editions of novels and adding unique finds from used book shops. “Of course, visually, they look beautiful in a home as well, I have a big book collection at home so of course there’s a number of different factors that apply,” Kipfer said. “It’s what makes you happy and for some that’s having fewer books that have special meaning and for others it’s having this collection that you can look at and appreciate every day and have available to you,” Kipfer said. In the past, I’ve read research surrounding the value of unread books and having those unopened possibilities at your fingertips. In my opinion, having a large home library presents so much potential value — in fact, it can even bring about a certain positive atmosphere. “When you have books that are unread on your shelf, I think we all have ‘to be read’ piles, there’s always the possibility, they represent something that you can get into. Something you can look forward to,” Kipfer said. Author: Safina HuseinSafina is the Editor-in-Chief of The Cord. Safina spent the past three years writing for the news section, working as News Director this past year. When Safina is not spending her time writing, you can find her drinking copious amounts of coffee, collecting various plaid shirts and re-watching, but never tiring of, Gilmore Girls.